The Great Lakes State is home to one of the most expansive and diverse agriculture industries in the nation. Ranking second only to California in agricultural diversity, Michigan produces more than 300 commodities on a commercial basis, a vital component of the state’s $91.4 billion food and agriculture business sector. Food and agriculture is one of Michigan’s top industries and employs about one out of every four residents. Farmland covers more than 10 million acres with nearly 55,000 farms. Michigan ranks third in the country for farmers’ markets, with a total of 349 in 2011. 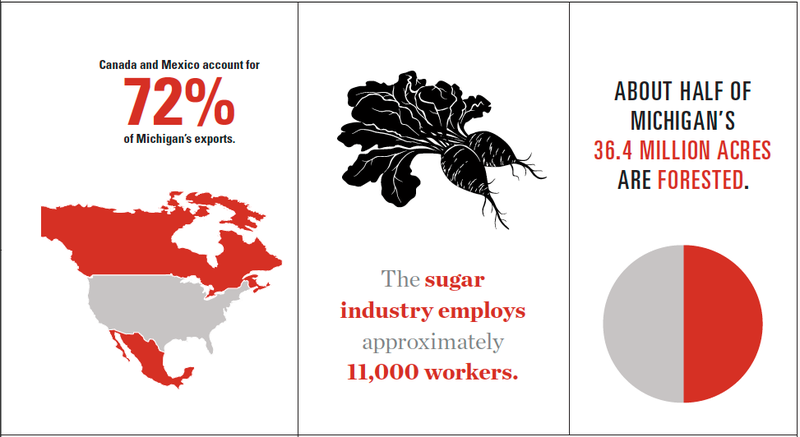 These markets give local producers an outlet to sell their goods, and encourage consumers to buy fresh, local products. 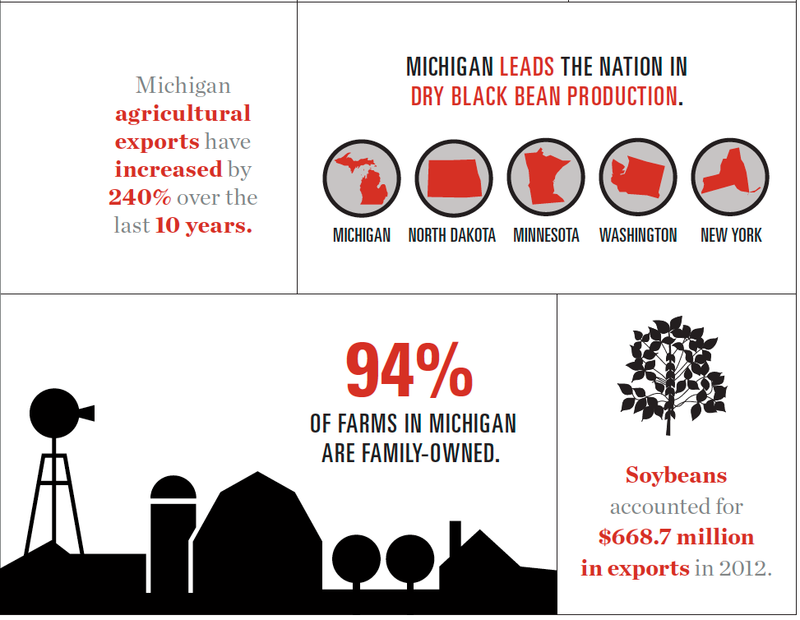 Michigan ranks first in the country in the production of dry black beans, dry cranberry beans and dry small red beans. It is also first in the nation for various flowers such as begonias, potted Easter lilies, geraniums and petunias. Numerous fruits and vegetables top the national charts. Michigan produces a third of the country’s blueberries and 77 percent of tart cherries. Michigan pickling cucumbers and Niagara grapes also rank No. 1 in the nation. 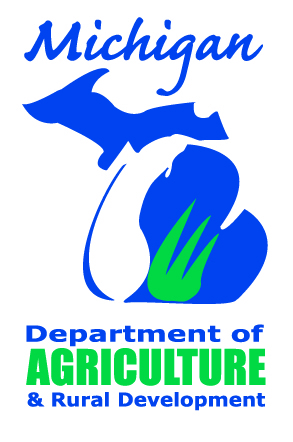 Livestock is an important part of Michigan’s agriculture industry. Dairy products are a major money-maker, with 366,000 dairy cows producing more than 8.4 billion pounds of milk in 2011. This milk can be sold directly or processed into cheese, butter, ice cream and other products. Michigan is No. 1 in the country for low-fat ice cream mix production. Michigan has expanded its agriculture and food industry to include various agritourism opportunities such as wine and food tours. With a booming wine industry, vineyards are a popular attraction for visitors who also patronize local restaurants and farmers markets. Recreational hunting, fishing and wildlife activities also attract visitors, who bring $3 billion to the state’s economy. A focus on conservation has led to the protection of farmland and wildlife habitats. Approximately 33 percent of the farmland in Michigan is in some type of preservation program. 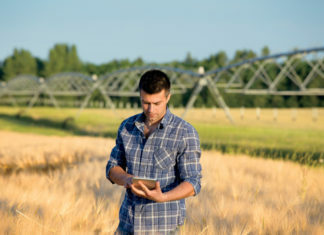 The Michigan Agriculture Environmental Assurance Program (MAEAP) is a program where producers utilize best practices to prevent pollution and save energy. With an impressive national presence, Michigan’s food and agriculture industry is an integral part of the state’s economy and identity. 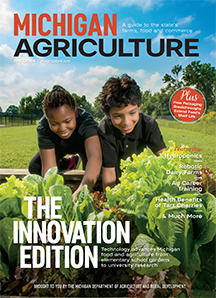 Michigan farmers use a high-tech toolbox.